DVD holder rustic wood crate. 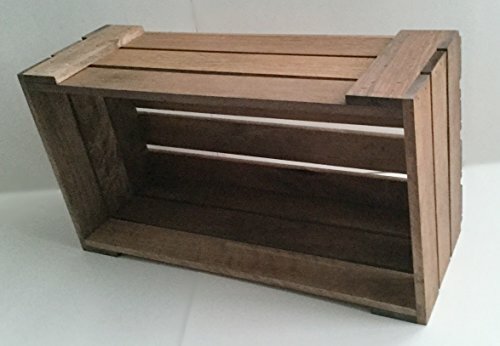 Handmade rustic wood crate with a medium stained finish. Holds approximately 27 DVD's. Inside dimensions 17" long x 8-1/4" wide x 6-1/4" deep. If you have any questions about this product by Darla'Studio 66, contact us by completing and submitting the form below. If you are looking for a specif part number, please include it with your message.